We’d love your help. Let us know what’s wrong with this preview of The Green Road by Anne Enright. Ardeevin, County Clare, Ireland. 1980. When her oldest brother Dan announces he will enter the priesthood, young Hanna watches her mother howl in agony and retreat to her room. In the years that follow, the Madigan children leave on Spanning thirty years and three continents, The Green Road tells the story of Rosaleen, matriarch of the Madigan family, and her four children. To ask other readers questions about The Green Road, please sign up. Each time a new novel set in the European theatre of WWII emerges, the chorus of “Do we need another WWII novel? Haven’t all the stories already been told?” follows. And then we go on to devour the likes of The Narrow Road to the Deep North and All The Light We Cannot See. Good story is good story. If the setting or theme seems tired to you, move along, please. So, too, could we lament the novel of the dysfunctional Irish family. From James Joyce to Edna O’Brien, Colm Tóibín to John Banville, we Each time a new novel set in the European theatre of WWII emerges, the chorus of “Do we need another WWII novel? Haven’t all the stories already been told?” follows. And then we go on to devour the likes of The Narrow Road to the Deep North and All The Light We Cannot See. Good story is good story. If the setting or theme seems tired to you, move along, please. So, too, could we lament the novel of the dysfunctional Irish family. From James Joyce to Edna O’Brien, Colm Tóibín to John Banville, we’ve read destitute, down-and-out, drunk. And then there’s Mammy. But we never tire of great story. And I personally never tire of Ireland. And then there’s Anne Enright, who specializes in the particular misery of the contemporary Irish family. But you noticed that I gave this five stars, didn’t you? That’s because it’s damn near impossible to be tired of reading transcendent writing. Her latest novel, The Green Road contains echoes of her 2007 Man Booker Award winner, The Gathering: it features a disjointed Irish family dispersed into a diaspora prior to the Celtic Tiger boom, reunites at a moment of familial crisis. In The Gathering, it is to mourn the suicide of a brother. The narrative is told through the perspective of a sister, one of twelve siblings, living in the rarefied suburbia of 21st century Dublin. Yet even with similar themes, The Green Road is something else entirely. Set not only in Enright’s verdant, damp Co. Clare, on Ireland’s west coast, but in Dublin, New York, Toronto, and Mali, it shifts between the perspectives of the four Madigan children: Dan, Emmet, Constance, and Hanna, as they lean away from the west of Ireland and the emotional machinations of their mother, Rosaleen. From the opening salvo, when Dan declares he is joining the priesthood and Rosaleen commences to weep on the Sunday dinner apple tart, the story sends us scattering across decades and borders. In 1991, eleven years after Dan breaks his mother’s heart, he is no longer an acolyte of the Catholic church. Engaged to his Irish childhood sweetheart, he descends to New York while she completes her studies in Boston. There he begins to admit to and explore his homosexuality, at a time when AIDS is decimating the city’s gay men. Enright immerses us in this world, but she circles around Dan, showing us instead the men he becomes involved with. Dan is more shadow than character. It is brilliantly done, for Dan is not yet fully realized as a man, not while he is still in denial, living half-truths. Perhaps deserving of a novel all his own is Emmet, the son and brother who becomes an ironically self-absorbed aid worker in West Africa. We meet Emmet in Mali, circa 2002, in a story about wasted love and a stray dog. Enright’s descriptions and characterizations capture all that is surreal about white, privileged expats trying to make a difference in a world that has little use for their clumsy, unreliable services. Hanna, always the little sister, is rapidly aging out of usefulness as a Dublin-based actress. She has “the wrong face for a grown-up woman, even if there were parts for grown-up women. The detective inspector. The mistress. No, Hanna had a girlfriend face, pretty, winsome and sad. And she was thirty-seven. She had run out of time.” Hanna is barely holding on as the mother of a toddler. She’s drinking, Hanna is, but look, it’s 2005 and Ireland is abloom with wealth and possibility: surely it has room for her . . . Curiously, the novel ends before the recession cuts Ireland off at the knees. But not before Rosaleen decides she will sell the family home, a threat that brings all four Madigan children back to Co. Clare and “The Green Road” of their childhood for Christmas. This is a mannered novel, perhaps the most conventional that Enright has written, but it is so rich and full. Each chapter, each change in character perspective, could be a brilliant stand-alone short story. 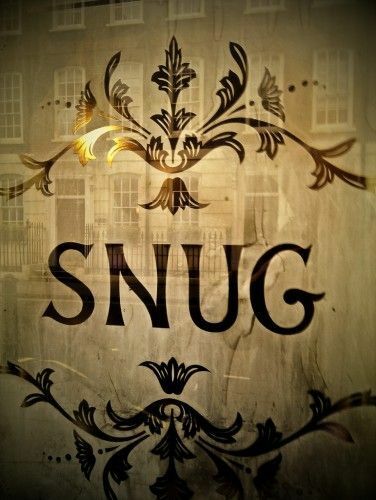 Enright polishes to a sharp gleam the details of setting and character, the ripe dialogue, the emotional ebbs and flows; her skill is breathtaking. There are times when her prose is lyrical and poetic: “The slope of raw clay had been ablaze, when her father passed along that way, with red poppies and with those yellow flowers that love broken ground.”; others when it is raw with reality: Dan was a year younger than Constance, fifteen months. His growing up struck her as daft, in a way. So she was not bothered by her brother’s gayness—except, perhaps, in a social sense—because she had not believed in his straightness, either. In the place where Constance loved Dan, he was eight years old. From the beginning I was fascinated with the character of Rosaleen, this family matriarch of four, living in an unnamed village in County Clare. When her eldest son Doug tells the family he is going to be a priest, she takes to her bed for days. Two boys, two girls and we follow this family throughout three decades. As with all siblings they take many different paths,live in different countries, and we hear from each of them. As for Rosaleen she waits, using passive aggressive techniques to make From the beginning I was fascinated with the character of Rosaleen, this family matriarch of four, living in an unnamed village in County Clare. When her eldest son Doug tells the family he is going to be a priest, she takes to her bed for days. Two boys, two girls and we follow this family throughout three decades. As with all siblings they take many different paths,live in different countries, and we hear from each of them. As for Rosaleen she waits, using passive aggressive techniques to make them feel guilty and to blame for her loneliness and unhappiness. Reminded me so much of my Irish mother-in-law, which is why I found her character and her parenting techniques so interesting. But then towards the end, when we hear her story, I began to feel sad for her. We follow Dan to New York during the days of the aids crisis, Emmett to South Africa, Hannah as she has a child and a drinking problem and Constance, the child who stays the closest in distance to her mother. This is on all ways a novel about the complications of being part of a family. The grudges, the memories good and bad, the misunderstandings and the misunderstandings we carry through to adulthood. What the idea of family and the family home means to different members. A very well written, thought provoking read. One I think most readers will find something inside in which they can relate. This book just felt like a lot of people complaining about their mediocre lives. The structure really bogged down the narrative and kept me at a distance from the characters. The first 5 chapters are all told from different perspectives--a mother and her 4 children--and then after that it alternates between all of them as they reunite one Christmas when the mother decides she is selling the old family home. Nothing stands out to me about this story; it's all quite forgettable unfortunately. That' This book just felt like a lot of people complaining about their mediocre lives. The structure really bogged down the narrative and kept me at a distance from the characters. The first 5 chapters are all told from different perspectives--a mother and her 4 children--and then after that it alternates between all of them as they reunite one Christmas when the mother decides she is selling the old family home. Jane Clough Kept going but found this book unforgettable and quite boring. Welcome to the Madigan family of County Clare: four children, all contending in various ways with the emotional tyranny of their never-satisfied mother, Rosaleen. From its gloomy dust jacket, you might assume “The Green Road” is a slightly fertile version of Cormac McCarthy’s “The Road,” but in fact this is a rich, capacious story, buoyed by tender humor, something like Anne Tyler with a brogue. 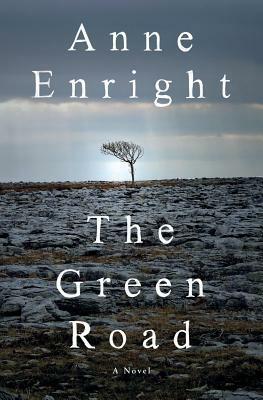 Enright . . . .
Anne Enright's, The Green Road, nominated for the Booker Award in 2015 and the Bailey's Prize in 2016, is a wonderful experience of family life in County Clare, Ireland. Matriarch, Rosaleen Madigan, has four children who all leave home to pursue life elsewhere. It's fascinating how Enright sets up the first part of her book with each of the first chapters set in a different location, time, and with one child and their life struggles. She starts with Hanna, a new mother and drinker, Dan, who live Anne Enright's, The Green Road, nominated for the Booker Award in 2015 and the Bailey's Prize in 2016, is a wonderful experience of family life in County Clare, Ireland. Matriarch, Rosaleen Madigan, has four children who all leave home to pursue life elsewhere. It's fascinating how Enright sets up the first part of her book with each of the first chapters set in a different location, time, and with one child and their life struggles. She starts with Hanna, a new mother and drinker, Dan, who lived in NY during the AIDs epidemic, Emmet, who goes from one place to another doing relief work in Africa, and Constance living the good life in Ireland while the economic boom is happening. In the second part of the book, Rosaleen notifies her children she is selling the family home and all come back to gather for Christmas Day. We get a good look at what Rosaleen is like. She is difficult, needy, and manipulative. No one can please her, but everyone tries their best. She leaves all her adult children feeling inadequate. She is a real piece of work. Expect some bickering. Enright's masterful stroke is on Christmas eve when Rosaleen goes for a drive. 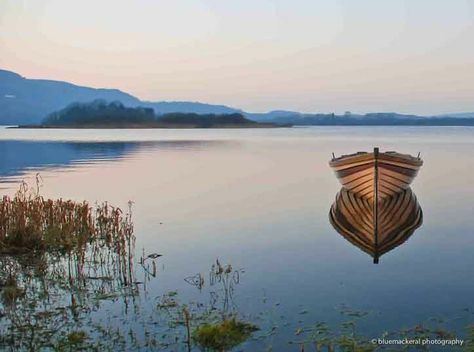 The beautiful description of the Irish landscape is breathtaking. The experience was so wonderful I felt like I was on The Green Road with Rosaleen. My sister and husband go to Ireland every year and now I know why. Time that my family takes in this wonderful land as well. I was hoping that I would love this book more than I did . I loved Enright's The Gathering but this one fell a little short for me . I just didn't like these characters very much , who didn't seem to like themselves very much either. I've read discussions about how a book can be a great book even without likable characters and that's probably true. My preference is that I like the characters. Having said that , I wanted to keep reading about this dysfunctional family to see how they would manage when they get together after years have passed . The alternating narratives covering different decades and places of four siblings and their mother Rosaleen from 1980 - 2005 , relate what is happening in each of their lives at various times . It begins with 12 year old Hanna , trying to manage when her mother falls sick on the news that her son Dan announces he's going to be a priest . Before you know it , it's 1991 and Dan is no longer in the priesthood and is having problems accepting himself as a gay man. Constance , the daughter that has remained home in the Irish town where her mother lives , is overwhelmed , overweight, and facing a medical scare . Fast forward again to 2002 and we meet up with Emmett in Mali , an international aids worker . Finally we get to Rosaleen , aging , forgetful and unhappy. There are further glimpses of these siblings in various places and where there are in their lives in 2005 and it's more than likely not where they each wanted to be . Coming home together at Christmas is probably the part in the novel that tells the most about these characters . In the end , I still didn't like them but I did feel sorry for them , I gave it three stars because in spite of not liking these characters, I still wanted to know what would happen to them . The Green Road has jumped to the top of my favorites of 2016 and Anne Enright has so impressed me with her ability to capture the essence of the family Madigan and it's diaspora away from the homestead and Ma, Mammy, Rosaleen,...then the return. Rosaleen's mothering has not been a happy presence for the family and has been mixed for Rosaleen herself. Enright allows her to strip herself bare. The story is told over the span of some 25 years, from the point of view of each child: Hanna, the younges The Green Road has jumped to the top of my favorites of 2016 and Anne Enright has so impressed me with her ability to capture the essence of the family Madigan and it's diaspora away from the homestead and Ma, Mammy, Rosaleen,...then the return. Rosaleen's mothering has not been a happy presence for the family and has been mixed for Rosaleen herself. Enright allows her to strip herself bare. Halfway through this book I was about to give up. Found all the siblings selfish and uninteresting. Wasn't sure about the mother. But then about halfway through they return to County Clare for Christmas and it all sort of fell together. I grew up literally a stone's throw from where this book was set. Left there over 26 years ago and doubt I could ever go back and live there again. Nice to visit for 3 days maybe but, no more. Made me a bit nostalgic in a way. Then again, I haven't been in Ireland Halfway through this book I was about to give up. Found all the siblings selfish and uninteresting. Wasn't sure about the mother. But then about halfway through they return to County Clare for Christmas and it all sort of fell together. Made me a bit nostalgic in a way. Then again, I haven't been in Ireland for Christmas in over 13 years. This year will be the first. Jaysus, her description of the pub on Christmas Eve. My life - before kids. "Run them and feed them," she said. "That's all you have to do with boys." "And what do you do with girls?" said Hanna. LOL, as a Mammy to two boys I cannot really comment but so far my boys have given me no trouble. "You can't have Christmas without Brussels Sprouts." Dead right, you can't. Even if nobody will eat them. My Dad used to use that expression - "May we all be alive this time next year." "The dead have voices in our dreams, but no density. It's just huge sense of themness, it is all meaning and no words. Because words are also physical, don't you think? The way they touch you." "The darkness of the theater, for Hanna, was a new kind of darkness, it was not the darkness of city outside, or her bedroom. It was the darkness between two people. It was the darkness of sleep, just before the dream. And book was repository of several sharp lines. This was NOT as disturbing as THE GATHERINGS (Which had power that can punch in abdomen), and it was lovely attempt to portray broken shards of family. Here the story was simple; one family- mother (Rosaleen), two sons(Dan and Emmet) and two daughters(Hanna and Constance)... The book starts with world of 1980 when all were having Apple-tart celebration when her son Dan announced that he would want to become a priest and how this news jabbed everyone who was present there and when there was cake slice cutting and here was her punch " The was not the cake slicing but the prising open of the relations between them". Then the books follows lives of each children : Dan (1991) who was gay and was concealing his sexuality; Constance(1997) her fight with the news of, may be having, breast cancer; Emmet (2002) who was working in black places of Africa (in book he was Segeu, Mali), working in SAVE THE WORLD kind of organisation; and lastly their mother Rosaleen (2005) who suddenly felt alone in the house and to whom her own flesh, her own kids, left away. Finally she decided to sell the house. And somewhere Hanna (her other daughter), the most beautiful one but alcohol addicted. The book starts with apple-tart ceremony and ends at Christmas ceremony after 25 years, where all her kids meet, laugh, share memories, and the loss which they will be going to bear with sell of this home. And her mother who constantly bringing old life, or seeing her family last time, remembering their father, who left away in between. With each memory, you can vision the windows, hall, and the broken heart of people, who have their childhood visiting them last time, the comparison of memories etc. Certain portions of this book REALLY MADE ME EMOTIONAL. The was an EMOTIONAL read. Anne Enright have that sharp skill on the relations of family. I owe Anne Enright a review after failing to go to bat for her in the apparently universally-loathed The Gathering. Well, listen up. Anne Enright is one of the best living writers of contemporary fiction today, and that holds true even though neither of her novels I've read have warranted a five-star rating. In this one, Enright writes about family and fellowship and the invisible bonds that keep us coming back home. Her prose is so honest, tight as a ball of yarn (that is to say, tight until yo I owe Anne Enright a review after failing to go to bat for her in the apparently universally-loathed The Gathering. Well, listen up. Anne Enright is one of the best living writers of contemporary fiction today, and that holds true even though neither of her novels I've read have warranted a five-star rating. In this one, Enright writes about family and fellowship and the invisible bonds that keep us coming back home. Her prose is so honest, tight as a ball of yarn (that is to say, tight until you take it apart), one of those early-computer-era puzzle games where it's all in front of you, but you have to unjumble the pieces to make the picture. The first half of this novel is perfect; the second has moments of sloppiness, things that should have been picked up by the editor, which is why I couldn't give the full five. We live in an era of mass consumption, where avid readers are expected to swallow books whole and say "YES!" or "NO!" and move on. And I think writers like Enright are the ultimate victims of this. "There is no plot" is not and will never be a valid critique of literary fiction. So slow down. Fall into the prose. Read in bed. Keep your thumb in place until you read the entire page. Have a little faith. Stop relying on blurbs. Take what Enright is offering. It's got a lot of soul. Who is to judge, meine Damen und Herrrren? At least she had a heart to throw. The title is the first signal that this will not be some cozy domestic novel full of petty family squabbles. 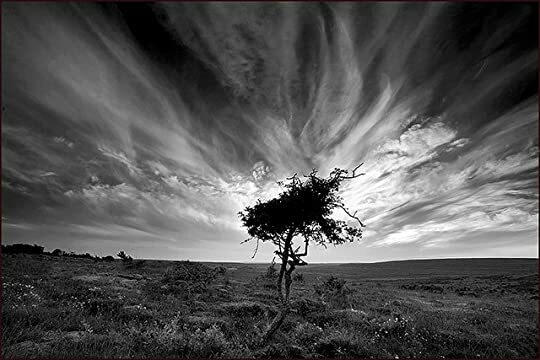 Instead, that road through the Burren in County Clare takes center stage – a symbolic road to redemption and the home you can never reclaim but never stop looking for. The novel is divided into two roughly equal parts, ‘Leaving’ and ‘Coming Home’. In the first half the four Madigan children disperse across the world. Enright puckishly avoids giving a straightforward chronological rundown The title is the first signal that this will not be some cozy domestic novel full of petty family squabbles. Instead, that road through the Burren in County Clare takes center stage – a symbolic road to redemption and the home you can never reclaim but never stop looking for. The novel is divided into two roughly equal parts, ‘Leaving’ and ‘Coming Home’. In the first half the four Madigan children disperse across the world. Enright puckishly avoids giving a straightforward chronological rundown of the characters’ lives, instead zooming in on a different point in time for each of them. In mining the depths of each one’s inner life in diverse writing styles, Enright defies common knowledge. Related reading: Maggie O’Farrell’s Instructions for a Heatwave has a very similar plot setup but lacks the stylistic experimentation. This book hit very close to home to me. I, too, have four kids and struggle to keep the adult relationship with them going just like the Madigan family. It really doesn't matter if it's Ireland or the USA, families struggle with getting along. They are bound by shared experiences and memories but grow into such different people. The book deals with Rosaleen's (the mother) unhappiness. She has married beneath her. Her children have not done as well as she expected. Her house is too big for her t This book hit very close to home to me. I, too, have four kids and struggle to keep the adult relationship with them going just like the Madigan family. It really doesn't matter if it's Ireland or the USA, families struggle with getting along. They are bound by shared experiences and memories but grow into such different people. The book deals with Rosaleen's (the mother) unhappiness. She has married beneath her. Her children have not done as well as she expected. Her house is too big for her to cope with any more. She can't seem to find a satisfying role in her adult children's lives. She wants to depend on them on them and they do not want her to rely on them. It finally becomes too much for her and she decides to sell the house. This brings the kids out of the woodwork and back to the homestead. Νομίζω πως μόλις διάβασα το πιο φορτισμένο συναισθηματικά βιβλίο, χωρίς να γίνεται μελό και χωρίς να θέλει να «εκβιάσει» αυτή τη συναισθηματική φόρτιση του αναγνώστη, που πέρασε από τα χέρια μου τους τελευταίους μήνες (ίσως και χρόνο). Επίσης, νομίζω πλέον ότι κάθε φορά που θα διαβάζω «Ιρλανδία», θα τη συνδυάζω με τη λέξη «νοσταλγία». Το βιβλίο χωρίζεται σε 2 μέρη. Στο πρώτο μέρος (“Leaving”) μας συστήνεται η οικογένεια Madigan, η οποία αποτελείται από τη μητέρα (Rosaleen), τον πατέρα (Pat) που ε Νομίζω πως μόλις διάβασα το πιο φορτισμένο συναισθηματικά βιβλίο, χωρίς να γίνεται μελό και χωρίς να θέλει να «εκβιάσει» αυτή τη συναισθηματική φόρτιση του αναγνώστη, που πέρασε από τα χέρια μου τους τελευταίους μήνες (ίσως και χρόνο). Επίσης, νομίζω πλέον ότι κάθε φορά που θα διαβάζω «Ιρλανδία», θα τη συνδυάζω με τη λέξη «νοσταλγία». Το βιβλίο χωρίζεται σε 2 μέρη. Στο πρώτο μέρος (“Leaving”) μας συστήνεται η οικογένεια Madigan, η οποία αποτελείται από τη μητέρα (Rosaleen), τον πατέρα (Pat) που είναι σχεδόν «εξαφανισμένος» από την ιστορία, και τέσσερα παιδιά (Hanna,Dan,Constance,Emmet). Παρακολουθούμε τις ιστορίες που μας εισάγουν τους χαρακτήρες, κυρίως αφού ένα-ένα τα παιδιά φεύγουν από το πατρικό τους κατά τα ‘80s-αρχές ‘00s. Το δεύτερο μέρος (“Coming Home”) μας μεταφέρει στην Ιρλανδία του 2005, όπου τα παιδιά (που δεν είναι και τόσο παιδιά πια) επιστρέφουν και η οικογένεια ενώνεται και πάλι για τα τελευταία Χριστούγεννα στο σπίτι που έχει σκοπό να πουλήσει η μητέρα. Ένα σκληρό, και ταυτόχρονα όμορφο, βιβλίο για την οικογένεια, την αγάπη, τον έρωτα, τα όνειρα, μα και για τα γηρατειά, τον θάνατο, την έλλειψη ουσιαστικής επικοινωνίας (αχ,αυτή η μάστιγα). Γι’ αυτό που καταλήγουμε να είμαστε (που είναι-συνήθως-διαφορετικό απ' αυτό που ονειρευτήκαμε). Ξέρετε, διαβάζοντας αυτό το βιβλίο, συνειδητοποίησα τη δύναμη της σιωπής. Ότι τα πιο σκληρά πράγματα ίσως να είναι αυτά που δε λέγονται δυνατά,αλλά κρύβονται πίσω από τη σιωπή. Επίσης, είδα-για μια ακόμα φορά-πόσο σκληρό και λυπητερό είναι να βλέπεις μια οικογένεια που δεν μπορεί να επικοινωνήσει ουσιαστικά. Όπως αυτή που τόσο όμορφα και απλά περιγράφει η Enright. Τα αδέρφια είναι μεταξύ τους ξένοι, δεν φαίνεται να υπάρχει τίποτα που να τους ενώνει. Η μητέρα προσπαθεί να καταλάβει τι λάθη έκανε που οδήγησαν σ’ αυτή την κατάσταση ("I think that's the problem.I should have paid more attention to things"). Για να πάρει τις απαντήσεις που θέλει, θα πρέπει η ίδια να ταξιδέψει από το παρόν στο παρελθόν, διαβαίνοντας εκείνο τον χορταριασμένο δρόμο που αγαπάει. I agree with Belinda McKeon's excellent review - The Green Road might just be the most Irish novel I've ever read. The scatter of emigration, the shadow of the Church, the hollow greed of the property boom, the prevalent drinking culture - so many aspects of life in the Emerald Isle are unerringly depicted in these unsentimental and insightful pages. Set in a rural part of west Clare over the best part of 25 years, the story describes the fortunes of the Madigan clan. For the first half of the no I agree with Belinda McKeon's excellent review - The Green Road might just be the most Irish novel I've ever read. The scatter of emigration, the shadow of the Church, the hollow greed of the property boom, the prevalent drinking culture - so many aspects of life in the Emerald Isle are unerringly depicted in these unsentimental and insightful pages. Rosaleen - The manipulative matriarch. From the well-to-do Considines and considered to have married beneath herself. Prone to hysterics - for example when a teenage Dan announces his intentions to join the priesthood she dramatically takes to her bed ("the horizontal solution"). Dan - His mother's favourite. Emotionally repressed and unsure of his sexuality. His chapter set during New York's art scene in the 90s is absolutely stunning. Emmet - A drifter who works with various charities in the poorest parts of Africa. Sees through his mother's conniving ways and frequently calls her out on them. Hannah - The youngest and prettiest of the Madigans. A failed theatre actress and a depressed alcoholic, struggling to raise a baby daughter. The second half of the novel revolves around a reunion. Rosaleen announces her intentions to sell the family home and the whole crew return to celebrate Christmas together. And with a household as dysfunctional as this, the simmering resentments quickly start to boil over. It's a very moving tale, recounted in unflinching style. The grown Madigans are strangers, linked only by childhood memories: "In the place where Constance loved Dan, he was eight years old." Meanwhile their demanding mother frets on her lonely throne: "a woman who did nothing and expected everything. She sat in this house, year after year, and she expected." Several days after completing this intense novel about the mostly unhappy members of the Madigan family--matriarch Rosaleen; her sons, Dan and Emmet; and daughters, Constance and Hanna--I find myself puzzling over them. Except for Constance, who has married well, and is clearly loved by husband and children, they are all so sad and disconnected. I find myself wondering what famed pediatrician and psychoanalyst D.W. Winnicott would have made of the beautiful but brittle Rosaleen Considine, who ma Several days after completing this intense novel about the mostly unhappy members of the Madigan family--matriarch Rosaleen; her sons, Dan and Emmet; and daughters, Constance and Hanna--I find myself puzzling over them. Except for Constance, who has married well, and is clearly loved by husband and children, they are all so sad and disconnected. I find myself wondering what famed pediatrician and psychoanalyst D.W. Winnicott would have made of the beautiful but brittle Rosaleen Considine, who married beneath her and whose great relationship in life appears to have been with her reflection in the mirror. According to Robert Ades, who writes on Winnicott: "Once the infant knows the mother can reliably provide during the baby’s early state of complete dependence, it is through the bust-ups and bungles of being good-enough rather than perfect that the infant finds out about his own developing needs. The child discovers he is not within the suffocating realm of parental omniscience . . . " But what if there are no bust-ups and bungles, or none that are admitted to? Against Ades's words, Rosaleen is not a "good-enough" mother; she is a too-much mother, who demands perfection of herself and apparently of her children. Not surprisingly, she is endlessly dissatisfied. Impeccably groomed, quietly tyrannical, incapable of spontaneity, easily offended, her own childhood is said to be inaccessible to her until she reaches her sixties. When her adult children ask her to describe her own mother, she can only supply details of dress. In the second half of Enright's book, set in 2005, the Madigans reunite for Christmas, as Rosaleen has been threatening to sell the family home. This is a tense affair that nevertheless allows the adult children to experience and respond to the vulnerability of their difficult mother--perhaps for the first time. As fractured as the family is, as broken as its members may be, they are still capable of acts of love. Enright's novel is beautiful and intense. The characters are not always likeable, but Enright makes sure that the reader feels for them in their struggles. I will admit, however, that I occasionally wished for respite from the sadness. I think a sense of humour goes a long way (and provides psychological protection) in difficult families. Anne Enright knows a lot about typical Irish Families and families in general. It’s food for thought, how we all grow up together but when adult we really know so very little about our siblings’, parents’ and childrens’ inner lives. In the case of the Madigans they know absolutely nothing about each other until they forced to pull together one fateful Christmas in 2005. To be honest at first I did not like this book. The first chapter left me somewhat underwhelmed, I care little for Irish rural Anne Enright knows a lot about typical Irish Families and families in general. It’s food for thought, how we all grow up together but when adult we really know so very little about our siblings’, parents’ and childrens’ inner lives. In the case of the Madigans they know absolutely nothing about each other until they forced to pull together one fateful Christmas in 2005. To be honest at first I did not like this book. The first chapter left me somewhat underwhelmed, I care little for Irish rural life. Then it picked up in the second chapter, by the third I was hooked. The book is really five peoples’ stories; there’s the Mammy (she hates it when she’s called that) Rosaleen and the children Dan, Constance, Emmett and Hanna. All five characters eventually meet up one very eventful Christmas but before that their stories, as their lives, are separate from each other. Dan’s story is sad as he only begins to find love and acceptance at middle age (basically he is one cruel B until he reaches this stage). Dan’s story is also remarkable as it’s the telling the story of those he met in America and Canada (told in their voices, that is in the fourth person) and documents an important piece of recent history that is being forgotten. Emmett and Hanna are both searching outside of themselves for happiness one as a Charity Aid worker and the other as an actress/artist. This has dire consequences for both of them and manifests itself as an inability to form relationships and alcoholism. Constance is my favourite, she is stronger than all of them, especially her mother, and in the middle of a health scare cares more for the other woman than herself. She is the only reason the family is holding together and the only one attempting to be happy with her life. Like all such people though, Constance is going to have to learn to put Constance first. The book also tells the story of Ireland form the 1980’s to 2005. Told in the food bought and eaten (the grocery shopping bill in 2005 which was the height of Ireland’s boom is something to remark upon) and also in the attitudes towards homosexuality (which was much better in 2005 than the 1980’s but was still a long way from the Marriage Equality vote of 2015). This book is beautifully written story of family and relationships. I look forward to reading more of Anne Enright. This book was okay but not brilliant. What I loved the most about it was how Anne Enright structured the story of a family of four kids. We get to hear from everyone's perspectives at different stages of their lives, and it all culminates in a gathering in their mother's home in Ireland. I found the characters to be somewhat interesting, but not infatuating. There was just something about this novel that created a distance between it and me, which was quite disappointing since it was shortlisted This book was okay but not brilliant. What I loved the most about it was how Anne Enright structured the story of a family of four kids. We get to hear from everyone's perspectives at different stages of their lives, and it all culminates in a gathering in their mother's home in Ireland. I "reread" this book this month to prepare for a book club. A great review by Savidge Reads inspired me. It does well on a second reading and I probably appreciate it more the second go round. This novel is a departure from The Gathering which was more literary and less of a story. The Green Road is the story of a family from County Clare. Based on the mention of nearby places - Cliffs of Moher, The Flaggy Shore (setting of one of my favorite Heaney poems 'Postscript'), and views of the Aran Isla I "reread" this book this month to prepare for a book club. A great review by Savidge Reads inspired me. It does well on a second reading and I probably appreciate it more the second go round. Anne Enright writes very very well. There's no putting her books aside because they are bogging down or because the situations don't intrigue you. I read through, quickly and appreciatively, liking the deft hand that gives you by turns rural Ireland, the early 90s East Village of my youth, and an expat aid worker's cobbled together home in Mali with equal assurance and authority, allowing you to believe as easily in what you don't know (Ireland, Mali) as in what you do (the AIDS era in New York) Anne Enright writes very very well. There's no putting her books aside because they are bogging down or because the situations don't intrigue you. I read through, quickly and appreciatively, liking the deft hand that gives you by turns rural Ireland, the early 90s East Village of my youth, and an expat aid worker's cobbled together home in Mali with equal assurance and authority, allowing you to believe as easily in what you don't know (Ireland, Mali) as in what you do (the AIDS era in New York). So perhaps this is an Enright 3 instead of an overall 3 - under someone else's name that I didn't know, I'd probably be surprised and delighted at the craft and give it a 4. But I thought here the whole was less than the sum of the parts. As noted, there are brilliant vignettes here - Dan's closeted dash through a virus-ridden East Village, that house in Mali with its heat and claustrophobia, maybe particularly a very subtly beautifully done scene in a breast-cancer screening center. I received a copy of this from the publisher through Edelweiss in exchange for an honest review. I liked this book, but not nearly as much as I loved The Forgotten Waltz. That book I loved because of the relationship making up the core of the story. In The Green Road, the relationships between family members are my least favorite parts, but they make up the majority of the novel. A woman in Ireland has four children. The first part tells some of their stories as children and young adults, and the I received a copy of this from the publisher through Edelweiss in exchange for an honest review. A woman in Ireland has four children. The first part tells some of their stories as children and young adults, and the second part tells more of their stories as adults. It felt a little like the author had picked a malady for each out of a hat to add drama, so it didn't feel as authentic as I would have liked, rather convenient. AIDS! Cancer! Alcoholism! Everyone gets a malady! There is absolutely no such thing as a normal family. Everyone's family is a bit crazy though some are crazier than others. 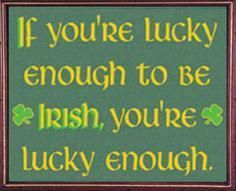 The Madigan's are one of those special kinds of Irish crazy though I'm sure there's families like them everywhere. The self centred mother, the long suffering eldest daughter trying to take care of everyone, the sons who have fecked off, and the rather dramatic somewhat spoilt youngest child. But they are also the kind of family that when the chips are down will appear over There is absolutely no such thing as a normal family. Everyone's family is a bit crazy though some are crazier than others. The Madigan's are one of those special kinds of Irish crazy though I'm sure there's families like them everywhere. The self centred mother, the long suffering eldest daughter trying to take care of everyone, the sons who have fecked off, and the rather dramatic somewhat spoilt youngest child. But they are also the kind of family that when the chips are down will appear over the hill to help. It is certainly a book about how our childhood and the things we are taught by are parents shape our later life. Rosaleen is undoubtedly a women dissatisfied with her life and with tendency to depression. She believes that she married beneath her in marrying a poor local farmer. She failed to live up to her potential. She is also extremely fond of that great Irish tradition of taking to the bed when things get too much. Her children too are dissatisfied with their lives. None of them seem overly happy at how things have panned out. The book is also an interesting portrayal of a changing Ireland over a course of 30 years and it's changing social structures. Rosaleen's father ran the local pharmacy. In mid 20th century Ireland he, and by extension Rosaleen, would have commanded power and respect in the town as am important local business man. They belonged to the middle classes. When the book opens that power is waning and by the modern sections of the book (set in 2005 while the Celtic Tiger is its peak) we see the rise of a new wealthy class - the developer - a group into which Constance has married. Every member of her husbands family seem to be involved in the construction sector in some way. The brashness of this new found wealth is most evident when Constance is doing the Christmas shopping. She buy's her mother an expensive scarf, strongly suspecting she won't like it because that is the kind of woman her mother is, and manages to spend €400 on the Christmas food shop, which we are informed is a record and a fact apparently Dessie will be very proud of. Ah the craziness of the Celtic Tiger!! The social changes occuring in Ireland during the course of the book, however are perhaps most evident in relation to Dan. The book open's with Dan informing his family he wants to become a priest. Rosaleen, who is far from happy at this news promptly takes to the bed. 20 or 30 years previously she would have been singing such news from the rooftops, but even by the 1980's having a son in the priesthood no longer carried the prestige it once did. Dan is in fact gay, and in the end never becomes a priest. We witness both he and his family struggle with his sexuality. Even in the later sections set in 2005 (notably 12 years after homosexuality was officially decriminalised in Ireland and 10 years before the historic vote to allow gay marriage) it is clear some members of the family struggle with it. It is not something they discuss, but rather ignore as one of the many things they leave unsaid. The rural - urban divide, and the generational gap are both evident in how different members of the family deal with Dan's sexuality. Emmet and Hanna living in Dublin are clearly far more comfortable with it than Rosaleen or Constance still living in rural Clare, equally Constance's children are more comfortable with it than their parents. It is a clear example of a changing Ireland. This is an excellent book about the Irish family, the legacies we carry and how much Ireland changed in a relatively short period of time. I found it a surprisingly compelling read. For anyone interested in Irish literature this is a must read. This is not a book you read for the plot, because there isn’t much plot. This is a book that you read for the characters and the beauty of the language. If you can’t hear the lilt of the Irish accent when you read these words, you aren’t paying attention. One of the blurbs on the cover compares Enright to Alice Munro, and I would have to second that impression. The Green Road is all about family relationships—Rosaleen and her four children and their success or lack thereof. It’s true that when y This is not a book you read for the plot, because there isn’t much plot. This is a book that you read for the characters and the beauty of the language. If you can’t hear the lilt of the Irish accent when you read these words, you aren’t paying attention. One of the blurbs on the cover compares Enright to Alice Munro, and I would have to second that impression. The Green Road is all about family relationships—Rosaleen and her four children and their success or lack thereof. It’s true that when you go home to the childhood home, it’s next to impossible not to slip back into childhood patterns, no matter how much your life has changed when you are out in the world. Enright examines each life in a tough, beautiful way—not a word wasted, but everything is expressed anyway. 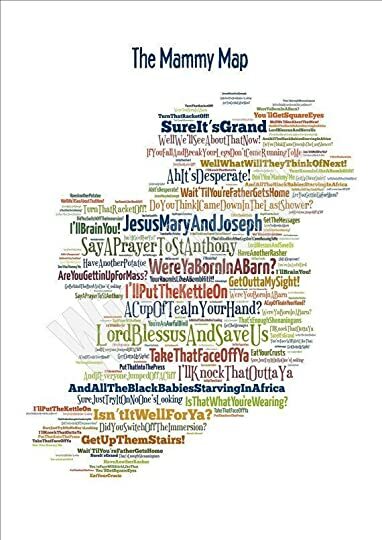 Read it for the perfection of the words, for the lilt of the Irish accent, for the simple complexity of the people. The Green Road is an epic, sprawling family legacy that spans thirty years and three continents. It follows the Madigan family, Rosaleen and her 4 children, as they navigate life in Ireland, New York and West Africa. The eldest son, Dan, makes an announcement that forever changes the family and sends Rosaleen to her bed. In the years that follow we see how all the Madigan children grow up. We see the mistakes they make and we see what ultimately draws them together and makes them a family. This The Green Road is an epic, sprawling family legacy that spans thirty years and three continents. It follows the Madigan family, Rosaleen and her 4 children, as they navigate life in Ireland, New York and West Africa. The eldest son, Dan, makes an announcement that forever changes the family and sends Rosaleen to her bed. In the years that follow we see how all the Madigan children grow up. We see the mistakes they make and we see what ultimately draws them together and makes them a family. This novel moves seamlessly through time and point of view shifts without ever missing a beat. This one of my favorites so far this year. I highly recommend it. A good but not excellent book – great at picking out family tensions, and interesting for how we see a detailed snapshot of each character but have to peace together their development until 2005 (particularly for the bitter, alcoholic Hanna) but one where the overall narrative does not really hang together. I settled down to Anne Enright's 'The Green Road' thinking I knew what I would be getting: lilting Irish prose, a tale of atmospheres and landscapes, anecdotal snippets of hard lives and big hearts. Yes, I thought, I am familiar with these lyrical, mood-inducing writers, they are always enriching - a bit slow-moving perhaps, but as filling and satisfying as a good, big meal. In fact, 'The Green Road' is all of the above, but also so much more......SO much more! No sooner have we been introduced t I settled down to Anne Enright's 'The Green Road' thinking I knew what I would be getting: lilting Irish prose, a tale of atmospheres and landscapes, anecdotal snippets of hard lives and big hearts. Yes, I thought, I am familiar with these lyrical, mood-inducing writers, they are always enriching - a bit slow-moving perhaps, but as filling and satisfying as a good, big meal. In fact, 'The Green Road' is all of the above, but also so much more......SO much more! No sooner have we been introduced to the Irish family, wrestling with the usual tensions - religion, money, loyalty - than we are fast-forwarded to one son, trying to survive the gay scene in New York at the height of the Aids Virus, a brutal world of love, lust and death. From there we go to Mali where another son tries to do good in the impossible conditions of the poverty-stricken third world - juggling the needs of his own heart with those of the people whom he is trying to help; people blighted by disease, ignorance, hunger and lack of hope. In the meantime Anne Enright covers the lives of those who stay in Ireland too, the daughters and Rosaleen, the mother, in many ways the quietest character in the book, but, as we come to realise, by far the most powerful. The family go through so much - from illness, to heartbreak, to misunderstanding - but there is a wealth of joy too, threaded through with memories of the shared experiences, good and bad, of growing up. If all of this sounds 'heavy', the truly remarkable thing is that it is not! There is nothing heavy about Anne Enright's writing'; it seems to float, carrying the reader along as it goes; and yet with every sentence she pierces truths about places and people with a precision that makes the hairs on the back of my neck stand on end. Somehow - how? - it isn't a long book. A mere 300 pages, and I loved every word. 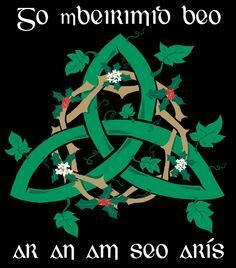 The story ends up, in one sense, where it started - back in Dublin with the gathering of the clan for Christmas. Everything is as it was, and yet (as in life) nothing is the same. Wonderful. This was a hard one for me to swallow, or I should say finish. It started out so well, but I think not finding the time to read in the last couple of weeks led to my feelings of "get me out of this woman's house!" Mam wants to sell the family home, her four children living in different parts of the world converge for their final Christmas. I didn't care for Mam nor any of her children. As is the case with most family novels, each child falls into the stereotypical familial rol Rounding up to 3.5. This was a hard one for me to swallow, or I should say finish. It started out so well, but I think not finding the time to read in the last couple of weeks led to my feelings of "get me out of this woman's house!" Mam wants to sell the family home, her four children living in different parts of the world converge for their final Christmas. I didn't care for Mam nor any of her children. As is the case with most family novels, each child falls into the stereotypical familial role: the son who left home and never wanted to return, the gay son, the alcoholic daughter, the other daughter with a family who does everything for her mother. Everyone seemed so self-involved. Mam gives the kids guilt trips and is passive aggressive. All that said, Enright certainly draws the reader into the story with her language and style. This was short listed for The Booker Prize and the competition must have been stiff, because while this wasn't my cup of Irish Breakfast tea, I can certainly appreciate it for its rich writing and story telling. A story of family. A story of place. Children flung far and wide from their home in Ireland, from each other, from the expectations they had of themselves. Said children, now adults, called to their ancestral home by their Ma, Mam, Mammy for Christmas. Every one of the bunch throbbing with longing sitting just beneath their skin. A longing that began at each ones beginning. Another testimony to "life is curly", not lived in a straight line. I did not want this book to end. The book ended, but the A story of family. A story of place. Another testimony to "life is curly", not lived in a straight line. I did not want this book to end. The book ended, but the story lives on. The story continues as I imagine how each person's life goes on. Such a great book to close out the year. It made me want to hug all my family close and tell them how much I love them. Each of the characters had their own fully fledged stories that could stand alone as a short story but that also fit with the stories of the other characters and when they got together, the combination was electric. Add into this some beautiful prose that envisions the wild Irish coast and we have a very special book indeed.